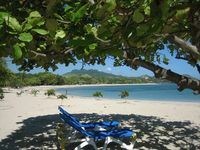 Properties in Puerto Plata average 4.6 out of 5 stars. By The Beach, Comfortable, Quiet, Secure And Central. We Make You Feel At Home. Property 9: By The Beach, Comfortable, Quiet, Secure And Central. We Make You Feel At Home. Property 11: Studio Presidential Suite- Lifestyle Resort- Chairman's Circle- VIP Gold Bands! Property 17: Lavish Ocean Front 2 Bedroom Suite - Lowest All Inclusive - $65!! Full, Duplex Apartment Walking Distance to the Beach!!! Property 22: Full, Duplex Apartment Walking Distance to the Beach!!! Luxurious rooms in the Caribbean. Property 28: Luxurious rooms in the Caribbean. Oceanfront VIP Penthouse Suite - Two Bedroom Condo - Sleeps 8 at LHVC Resort. Property 35: Oceanfront VIP Penthouse Suite - Two Bedroom Condo - Sleeps 8 at LHVC Resort. At Last Unveiled ! Dream Vacation At our Vip Royal Suite In Puerto Plata D.R. Property 40: At Last Unveiled ! Dream Vacation At our Vip Royal Suite In Puerto Plata D.R. All inclusive Junior Suite with airport transfers included and VIP access! Property 49: All inclusive Junior Suite with airport transfers included and VIP access! I rented for three months and I thoroughly enjoyed myself. Luisa&rsquo;s condos are very clean and well kept. The kitchen is well equipped and if you are missing something Luisa will get it for you. The pool is very well kept and very clean. There is a BBQ on site but if you do use it you must clean it after each use. The beach is a 15 minute walk away. There is a little store called Jenny&rsquo;s which is a 12 minute walk. If you need to shop for more substantial groceries you have the choice between Jose Luis and La Serena. If you choose Jose Luis they will even take you back to Costambar with your groceries and you give the driver a tip. There is also a local fruit and vegetable vender just outside the Costambar gate. He is on the left side about a 5 minute walk from the gate. His name is Ferro and he will inform you on the local fruits and vegetables. So all in all this is a perfect place to stay if you rent for a week or a month or longer. I fully intend to return for three months again next winter. I made great friends and Luisa is very endearing and a lovely woman. So if you do choose this place you will not be disappointed. The accommodation was spacious and comfortably furnished with a cool, refreshing ocean breeze . We were very pleased with this property. It was ideal for our party: secure, ocean view, nicely kept pool and grounds, steps to the beach with calm sheltered waters ideal for playing in the ocean. Most people will want to use water shoes because there are a lot of broken coral and shells that make walking barefoot uncomfortable. The area is a mix of snowbirds and locals and overall we found the local businesses friendly and welcoming. The water is calm being protected by a reef that has created pools with gentle waves good for young and old for enjoying the water without the open surf that can cause anxiety for parents and people who are not strong swimmers. There are other beaches in the area that provide conditions for open water sports that are nice for days trips. 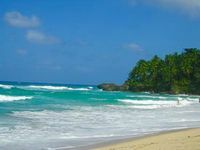 We mostly staid on the beach which provides ample shade from several types of trees accommodating both sun bathers and those who prefer to mostly keep out of the sun and enjoyed the water and steady trade wind breezes. The kitchen at the property was well equipped for our limited experience with this type of rental. The only thing missing was a blender. We never had to use the air conditioning because the apartment was situated to capture the ocean breezes. We had a lovely time and recommend this property for those who are seeking a quiet, relaxing vacation at the beach.